You might find this topic less than exciting, but that’s the point: avoiding the excitement of getting your iPhone all wet! Friends recently had a lengthy back-and-forth email discussion about their smartphone “dry” bags (lots of fails), but we think we may have found the holy grail: the Clutch Smartphone Case from Watershed. We plan to buy and try…to be done. This brand new, versatile case protects all your important stuff from water, moisture, dust, sand and greasy fingers. A clear, usable window encases your smartphone, while an adjacent window allows you to have your ID handy. Pockets for cash and cards allow for quick access when fully open, yet secure once the Clutch is snapped closed. 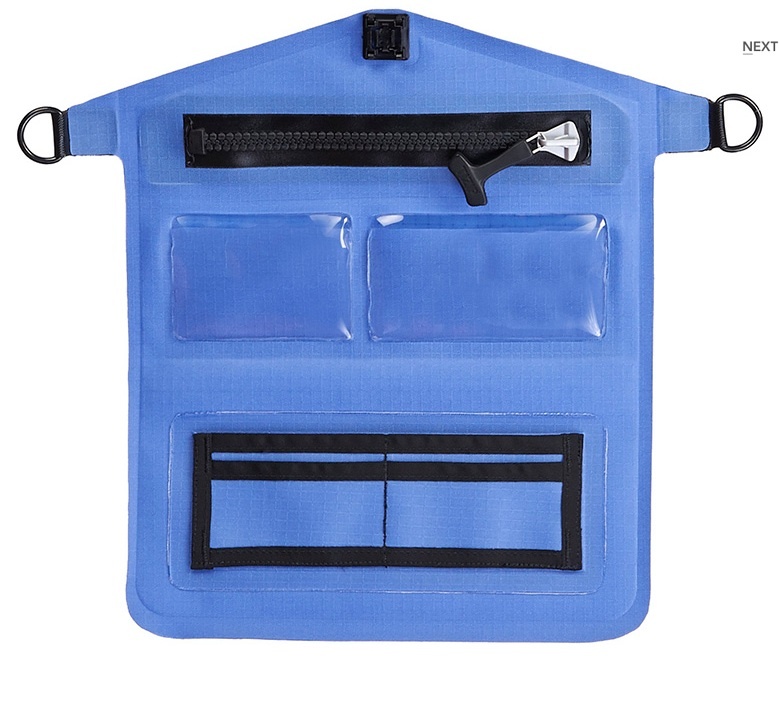 The main zippered compartment protects any documents or other small items you want to keep dry and on hand. The fully waterproof, submersible closure is made in Germany, and is hidden and protected when you fold and snap the Clutch closed. It comes in orange too? Now you’re talking. BTW, if this case proves to be anywhere near as good as the company’s duffels and kayak drybags, our intrepid friends Johna and Vlad (aka, Wind Against Current) will be thrilled. See how their horizontally-closing Watershed bags held up during the 300-mile Everglades Challenge 2014. We’re not endorsing anything here (remember, we haven’t even bought the thing yet!). Just wanted to show you how this gear made our TBD “to be done” list. The video (below) may inspire you to put it on yours, too. Otterbox is what I use for the phone. A few years ago I finally bought a water proof camera. That said, I would love to have one of these bags so I can take one of my Nikons on the next island camping trip. Hum… perhaps this would solve some of my camera on board concerns! I am looking into this. Thanks for the tip, Jean and Alex!